Posted December 9, 2014 by ApolloX & filed under All Categories, Bed Bugs, Biting, Stinging Pests. 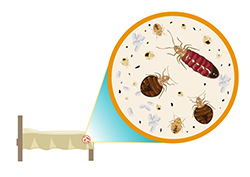 Once established in a home, bed bugs are difficult to remove. 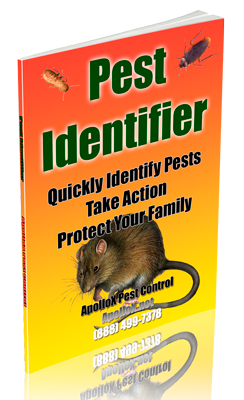 Treatments can be time, labor and material intensive to truly rid the home of all bed bugs present. The best offense is a strong defense. 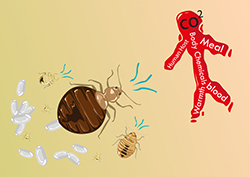 Prevent bed bugs from coming home in the first place. Inspect the valet stand or luggage rack thoroughly around the fabric seams to see that there are no bed bugs; after passing your inspection, place your suitcase on the stand and keep it there the entire visit; do not let the suitcase sit on the floor, which makes it more difficult to prevent bed bugs from hitching a ride and coming home with you. Check the hangers and rack in the closet before hanging your clothes there. You want to prevent bed bugs from hitching a ride home on your cloths. Check nightstands and dresser drawers before placing personal items on or inside. If you should find bed bugs present, please alert the hotel management that this is the case and that you would like to be moved to another room. 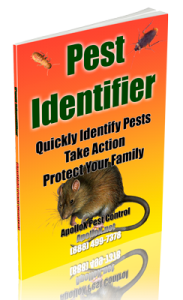 Only by informing the management of the bed bugs can they begin to tackle their problem. Hotels are now very concerned to prevent bed bugs. They’ll work with you to make your stay pleasant. When you return home, prevent bed bugs from entering your home by first unloading your suitcase in the garage or out on the porch or patio. Check your suitcase and other luggage thoroughly (inside and out) for any signs of bed bug hitchhikers that may have come with you. If you should accidentally bring bed bugs home with you, contact us immediately to help rid your home of them.